Category Archives: Rants & Ramblings of….. It has been a while again since any postings. I know that I have heard it many times that to draw the people, one needs to post often. Something that I seem to be lacking to do. Infact, ordinary every life seems to get in the way all the time with one thing or another. It has now been almost a month since we moved into a nice home in Ardeer. For those who do not know where that is (and dont feel bad as even people in the next suburb don’t know this area! lol), Ardeer is located next to Sunshine, a suburb in Melbourne, Victoria. When we first looked at the house, we sensed an unusual aura about the place, as if there was an unearthly presence in the midst. Our suspicions may have been right, as it was not until we moved in that we found out that the house does have some spirit activity, at least on some level. It turns out that the house was last occupied over 6 months ago, and there has been no tenants since, despite it been looked at many times. For the amount of rent it costs a month, one would assume that it would have been snapped up, but for our favor, it had not been. Now while one of the former owners (an elderly Polish woman) now lives in a nursing home, it does seem that the former male owner may have died in the house. The home has 2 bedrooms, 2 loungerooms, big kitchen, bar room, large laundry room, nice big bath (which I am yet to take advantage of), enclosed outdoor entertaining area, sunroom/enclosed patio, large front yard. The house also came fully furnished, complete with everything including the bedsheets of the elderly couple. Creepy. I could go on about spiders but I wont. I hate spiders with a passion. They scare me. Anna said to me the other day “You can face demons and ghosts with no fear but a little spider you are scared of.”. She asked me why I was scared of spiders, to which I still don’t know. Maybe it is the way those 8 legged freaks crawl along or the fact they are just like a predator, waiting to inject their venom. Who knows. In any case, the worst thing that came from the fall of man was spiders. Yeech. Getting back to our ghost… We do have a ghostly resident. There are times when our son, David, will be going to bed, and he will point to his bedroom window (which faces the enclosed patio), and say “there’s a man there” and he will smile. Other times he will be playing as though there is someone in the room playing with him. Other times we will wake the next morning to find the fridge door is open, or the dial in the fridge has been turned off, or things moved around. It could well be that we have a ghostly resident, which is all well and fine by me, as he is posing no drama for us, and in a way we do feel that our unearthly resident is watching over David during the night. We’ll just have to see what else becomes of our ghost. Things have changed in ways for us in film. Some of you know the big drama in Queensland regarding Telemarketers Show, and how that came to a halt after much bad drama and bad decisions. Yes, I made very bad decisions in the way it was done. For a start I should have had someone on board who knew how to effectively do PR for the show. It is a shame there is a lot of bullying and backbiting in the film industry. The whole aspect of film making is about helping one another succeed in making a great story come to life. The world of film is a different game than writing. Being a writer, my first priority is to creating a great story that people will like. My other priority is to help other writers get published. That is why we set up ASJ Publishing. We have seen how hard the publishing game is, and we do strive to help new writers get published. Some will think that being a writer is easy. Some people drop me a message on various social networks and still assume that because they have a great story to tell, that they will become an overnight sensation. Sad to say but that does not happen. To those I will say, if you choose to be a writer, don’t plan to give up your day job. And I say that with the greatest respect. It is good to have a dream, but if you plan to become the next Rowling or Meyers, then be prepared to put in the hard yards. Even me, I have seen 4 books published and I still work as a freelancer. There are times when I don’t like what I do, and would prefer the life that some writers have, but life is not like that 🙂 I wish it was, so I could spend more time on writing and on films. That is where my passion lies. But I do what I have to do in order to get by. When I was young, I grew up in the Brisbane suburb of Kedron. Life was simple, pleasant. The familiarity of the street was something I was comfortable with. Yes, there were times of stress in the house, but the place held a certain knowing that this was the place of my belonging, at least for a time.. I had always thought that Kedron would be a suburb that would remain the same, despite how things seem to change. I had always thought that the old house I grew up in on Tenth Avenue would stand forever. Our house was a two level, 3 bedroom brick/weather board home what was painted this tacky color of creme, and the wrap around deck that was painted almost dark purple. The old tin shed in the backyard, and the old homemade brick barbeque, where I would spend countless hours practicing my bowling techniques for cricket (such as Don Bradman would do when he was young… Hey, this was Aussie, and what boy didn’t wanna be like the Don!). Next door to Jack and Emma lived Peter Glenn, who owned a Nursery/ Shadehouse business. From the size of his house, and the massive shadehouse in his backyard, I figured at the time that he must have been a millionaire. Across the street, lived a boy around my age, Stephen Amos. To this day I wonder how it was that one week we would be best friends then the next week the worst of enemies at the drop of a hat. I remember one time when Stephen introduced me to the world of computers. This would have been back in around 1982, or maybe 1983. Apple computer I think he had, with those floppy, saggy disks that took hours to load anything, that ugly green screen, and the dot matrix printer which was so loud you didn’t need an alarm! The school I went to, Kedron State. It was simple. We had a cricket pitch at one end of the front of the school, and the other end the pool. Those were the days when we were not allowed to use a calculator to figure out mathematics, and to urk everyone the teachers would scratch the chalk across the blackboard. The house I grew up in, the area, were all things I had once desired my own son to see. But somehow, things are not that simple. You can imagine my surprise when I used Google Street view tonight to look at the street I grew up. That old house I once lived in has changed; the school I attended at the top of the street was changed, Jack & Emma’s house was gone, replaced with a couple of Townhouses… Even the house where Vicki lived on Eighth Avenue was gone. The last time I was in Kedron was in 1988, just before my father sold the house on Tenth Avenue and we moved to Albany Creek. 21 years. It is amazing how things so quickly change in the course of a lifetime. Gone is the cricket pitch at my old school, gone are the Purcell’s, gone are the days when I would run amock in that neighborhood. Michael Jackson, the “King of Pop” who once moonwalked above the music world, died Thursday. He was 50. One person can make a difference as we have seen in the life of Michael Jackson. Michael Jackson meant many things to his family, friends and fans. He was a beloved entertainer, spokesperson, showman, father, friend, motivator, an artist who pushed the boundries of creativity. Growing up in the 80’s and 90’s, I was one who was a die-hard fan of his music. People often underestimate the power of music, and the effect that it has on us. We sometimes forget how a great song with a feel-good message lifts us up, and makes us smile and remember the place we had the most fun dancing to it and with whom. There were times when his music brought joy, hope, inspiration to me when I needed it. Michael Joseph Jackson was born Aug. 29, 1958, in Gary IN. He was 4 years old when he began singing with his brothers; Marlon, Jermaine, Jackie and Tito, in the Jackson 5. After his early success with bubblegum soul, he struck out on his own, generating innovative, explosive, unstoppable music. His 1982 album “Thriller” which included the blockbuster hits “Beat It,” “Billie Jean” and “Thriller” is the best-selling album of all time, with an estimated 50 million copies sold worldwide. Although Michael had experienced a level of success with the Jackson 5 and his solo album, Off The Wall, Thriller was the album that launched him into super-stardom, which not many of us can achieve. Throughout the years, Michael had continued to push the boundries of creativity, with music videos such as Bad, Remember The Time, Liberian Girl, Ghosts, You Rock My World. Jackson’s death brought a tragic end to a dazzling career, when he was popular music’s premier all-around performer, a uniter of black and white music who shattered the race barrier on MTV, dominated the charts and dazzled even more on stage. He was the most exciting performer of this generation. Not since Fred Astaire had we seen such a brilliant entertainer. 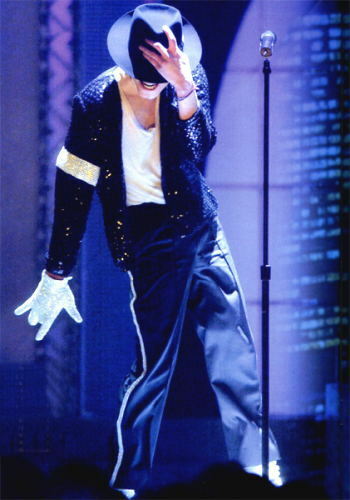 Jackson ranked alongside Elvis Presley and the Beatles as the biggest pop sensations of all time. He united two of music’s biggest names when he was briefly married to Presley’s daughter, Lisa Marie, and Jackson’s death immediately evoked comparisons to that of Presley himself, who died at age 42 in 1977. Jackson’s 13 No. 1 one hits on the Billboard charts put him behind only Presley, the Beatles and Mariah Carey, Werde said. The World Has Lost A Dazzling Light. About a month ago now, my wife and I were hired to recruiting mystery shoppers in certain countries for the launch of the Apple IPhone. My first thought of this project was that it would be easy. Of course, that was furtherest from the truth as we were met with one complication after another, whether it was technical problems with the website, to answering simple questions that were readily available online… (And of course, not to forget the person who liked to send a message every 5 minutes with questions like “where are you? I am waiting for you to come online!” and “Hurry up. I need to go out!”). Still, virtual recruiting has advantages. I dont have to go to an office and fight traffic everyday, and I have got to meet some really nice people online. Both perks of the job..
Mystery Shopping. Some have asked me what the heck is that? Well, to put it in the simplest terms as I can. Mystery Shopping is a research tool used by many businesses to measure customer service. It is designed to see if product placement is carried out at a level that is expected. Unfortunately this is not always done, as in the case of Apple IPhone. Anna and I elected to do the assignments in Samara and Novokujbyshevsk. Doing both areas was a definate conflict of time. We would enter the selected store, and firstly look to see if the IPhone brand was displayed, either with a large wall poster or IPhone Display. In most cases, the best that the stores could offer was the product was either in a case display cabinet, unable to be used for demo purposes, or they have no product available at all. Worse yet, not one place we visited had any sales material of the IPhone, and most sales associates had no clue when it came to giving us a demo. (Although one individual, Retvek, showed the only professionalism we had seen all day!). Our first stop was Megafon in the downtown. Walking into this store was the exact same as going to a bank. You stand in a queue and wait for a teller. I wont go into full details on each assignment, but let’s just say that of the 6 locations all over Samara, this took us all day to get done as we had to wait for a tram or buss to go to the area we needed. Okay, onto day two of assignments. Our only assignment was in Novokujbyshevsk. Simple? Not really. Novokujbyshevsk is only about 50 kms from Samara, however, the best way to get there is by train. So off we went to the train station. Upon arriving at the station we had the joy of waiting an hour for the right train to go to Novokujbyshevsk. When it finally did come, we spend the next 90 minutes on the train, then once in Novokujbyshevsk, we had a 20 minute wait for a taxi-bus to go into town. Needless to day, travelling 3 hours for a 50 km trip I was not impressed with at all! Well, what can I say about Novokujbyshevsk? I think with all due respect, and not to offend anyone, Novokujbyshevsk is a town that is on the borderline poverty, and for anyone in this town to be able to afford an IPhone would literally cost them 4 months salary (or more). (Granted, that is taking into account if an individual happened to forego the basic living expenses such as food, power, and rent). Obviously Apple did not think to much when it came to product placement. They should have targetted cities where people could afford such luxuries. Not small towns where the streets are pretty much deserted at 3 o’clock in the afternoon! Now for something completely different, I thought I would add my own review of a PS2 game I played recently, which is, a recent release (I think). Okay, without adding the walkthrough details, this game is pretty cool. There are 16 levels in this game, with all characters based on the tv show. Each level has hidden objects and missions, and some levels have the added fun of a mission within a mission. It takes a bit to figure out what you are meant to do in some levels, but in all this is a cool game for young and old alike. Although this is not normally the type of game I would play in my down-time, I would recommend this for anyone who is a fan of the show. Watch for the Dance Off with God on level 16 and the cool end scene. There are cameo appearences by itchy, Scratchy and Matt Groening. Highly addictive, and the scenes are just like watching the tv series. The graphics are well down and alhough it makes numerous references to upcoming games and tv shows, I would play this again. Balancing life as a Husband, Recruiter, Mystery Shopper, and Writer certainly is a challenge. I have come to understand the challenges other recruiters would feel in similiar roles, and certainly, Performance Based Recruiting is something I should know already, considering I used to work for Lou Adler (And got to meet the guy on one occasion when he was in New Zealand), but alas it seems the older I get the more knowledge I seem to loose :-). After a long flight from Sydney we arrived in Narita Japan. The whole process of arriving was almost without incident, as since Anna is from Russia, she did had a slight problem with customs in Japan, but that situation was quickly solved, thanks to the outstanding hospitality of the Japanese customs officers. Infact they were more than helpful in the situation. As it turned out, since Anna is a Russian citizen, she needed a visa to stay in Japan, which is somethign both Flight Center AND Aeroflot failed to mention when they ticket was booked. We are staying at the Holiday inn in Narita, and although the food is overpriced in the hotel, the accomodations are great! Day one: Tokyo. The weather was humid, but the place is awesome. After a light breakfast in the Holiday Inn dining room, we decided to head to Tokyo for some sight seeing. There is a complimentary shuttle which goes to Narita train station, and the trip to Tokyo took about an hour. To amuse myself, I decided to people watch. We noticed in Japan, everything is very prompt. We decided to go on a walking tour around the city and Imperial Palace Gardens. There are a few shuttle services around Tokyo, but the one we found to be the best is the complimentary service which goes on a 30 minute tour around the city. The one down side to all the bus tour services is the one called Sky Bus Tours. They leave about every hour from several pick up points in Tokyo, but we found that when we tried to book tickets, they told us they were booked up. Not exactly true, unless the customers were of the invisible kind. So Sky Bus Tours gets a rating of 1 out of 5 for their service. Tokyo city is very clean. One of the cleanest cities I have seen in a long time. That, added to the Complimentary shuttle services that goes around the city, Tokyo is one the best cities I have seen in a long time and Sydney sure could learn from their example. As far as service, hospitality and overall rating, it is a great place to visit. Dinner we had at a restaurant called OhSho. A nice little Japanese restaurant in Narita district. We had Wontons, Fried Rice and Shrimps in Chilli Sauce. Unlike alot of traditional restaurants you would see in Australia or elsewhere, the wait time to be served dinner was incredibly fast. The kitchen area can be seen from the table where we were sat, and it was impecibly clean. I highly recommend the Oh/Sho Restaurant in Narita. (Located about 5 minutes walk from Narita train station, and around the corner from McDonalds) OhSho restaurant gets a rating of 4 out of 5.